About a month ago, I had the lovely, lovely girls from bonberi over for dinner, which called for something decidedly on the healthier side of the spectrum. After perusing through my mental folder of options, I settled on something tried and true (foil-baked salmon made approximately 184304 times in the history of me cooking), and something new and exciting (homemade sriracha!). I combined the two by rather sloppily slathering the latter onto the former, sticking it into the oven, and praying for the new recipe gods to be kind. Well, the whole thing came out perfectly, and my tired old salmon recipe got a swift kick in the behind (in the best way possible) due to a potent, but simple, mixture of peppers and a few other natural ingredients whizzed in a blender. 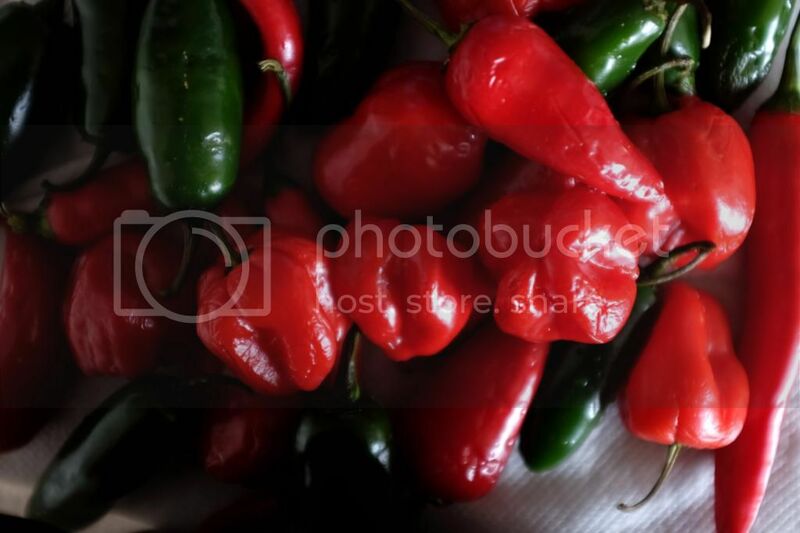 *Red jalapeno peppers are most common during the fall, so it is likely that you will only be able to find green during other times of the year. 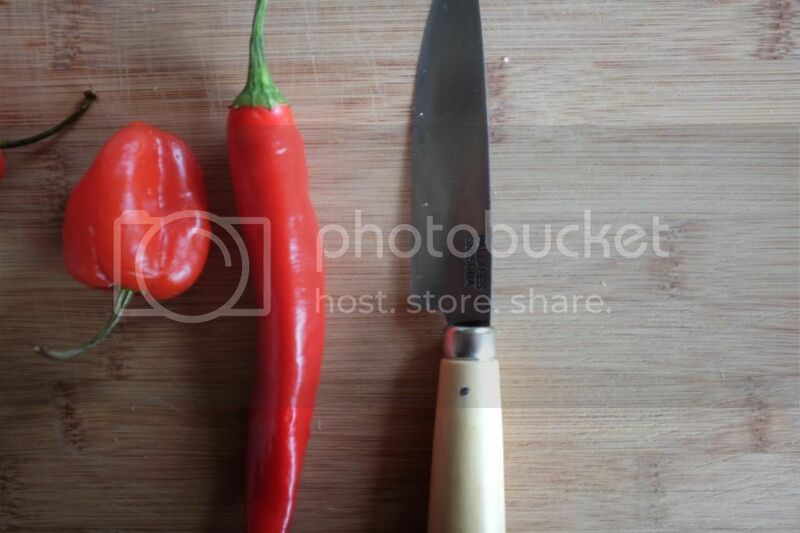 If that is the case, make sure the other 1/2 pound of peppers you use are all red in order to maintain the bright red color of the final product. 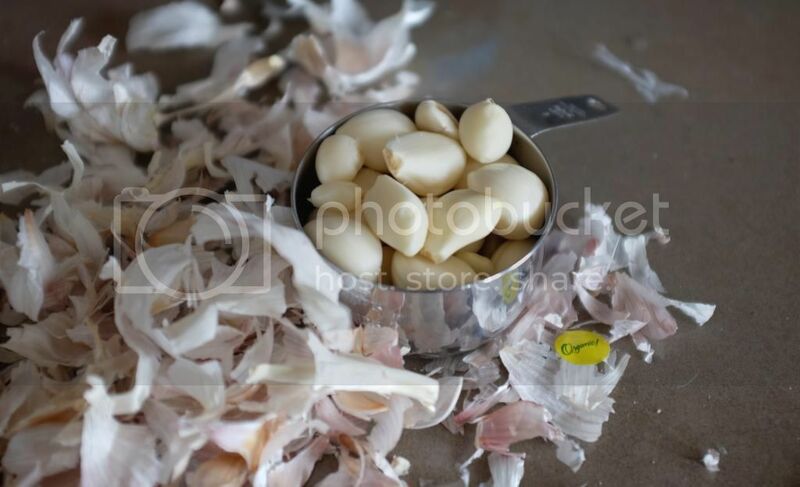 In a small saucepan, cover the garlic with cold water. Bring to a boil and immediately drain. Cool the garlic under running water. Repeat one time. 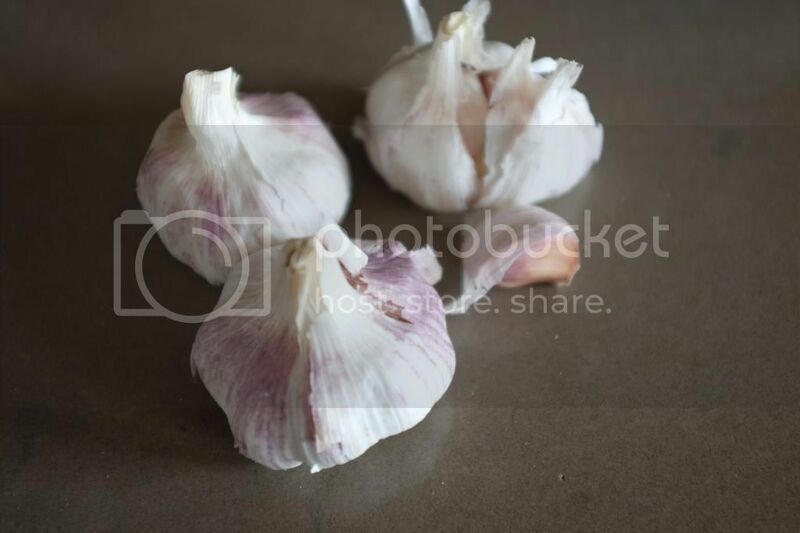 Slice the garlic thinly, and combine it with the peppers and vinegar in a large pot. Bring the mixture to a boil for about 3 minutes, then remove from heat. Add the brown rice syrup and salt, and stir to combine. Let the mixture sit undisturbed for an hour to steep and cool. Transfer the mixture to a powerful blender and blend until smooth (it's fine if all the seeds don't blend in). Return pureed mixture to pot and bring to a boil. Lower the heat, and simmer for 10 to 15 minutes, until the sauce is slightly reduced and has some body. In a small bowl, dissolve the arrowroot with 1 tablespoon lukewarm water. Whisk into the simmering sauce, and cook for two more minutes, or until the sauce is nicely thickened to your liking. 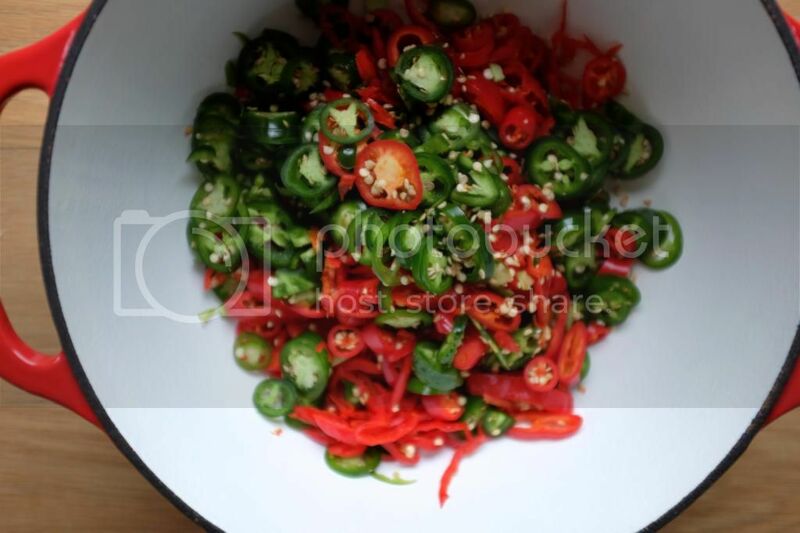 Remove from heat, let cool a bit, and stir in fish sauce. 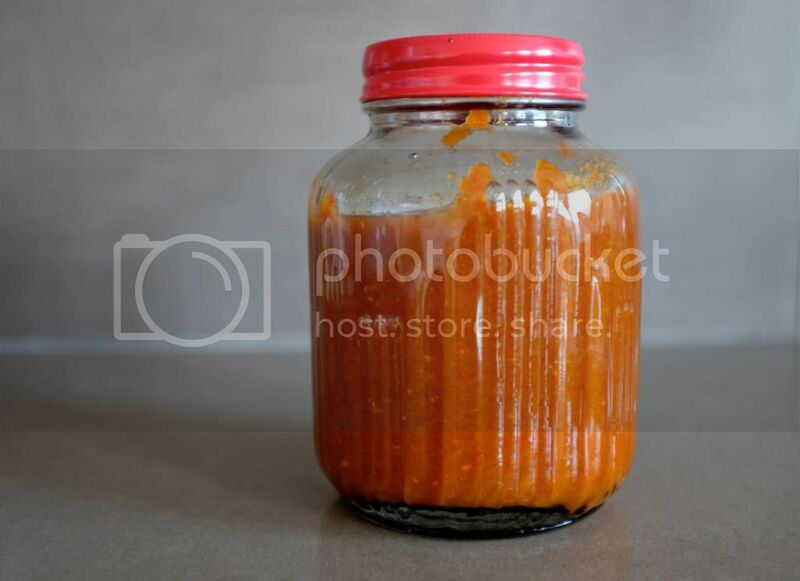 Store in a screw-top jar or bottle in the fridge for up to six months.